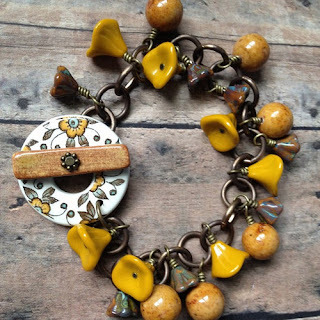 Each week the Art Bead Scene features a Designer of the Week. 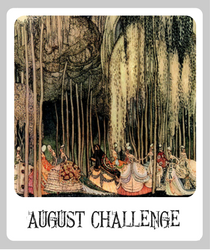 One of our editors picks her favorite from the Monthly Challenge entries. 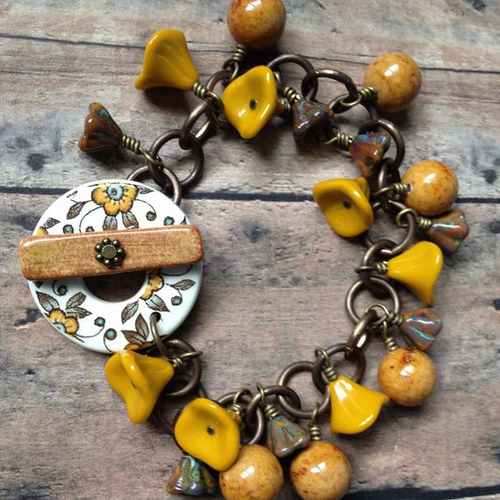 This week's winner is Le Clair Rose Designs You can see her bracelet here. "This beautiful design is like a spring bouquet for your wrist. Wonderful colors and I bet it makes a great sound when you move! Lovely!" Well done! The colors are wonderful! This is absolutely beautiful! Congrats! Gorgeous toggle on your bracelet! Best one I have ever seen on the world wide web!Truly inspiring !